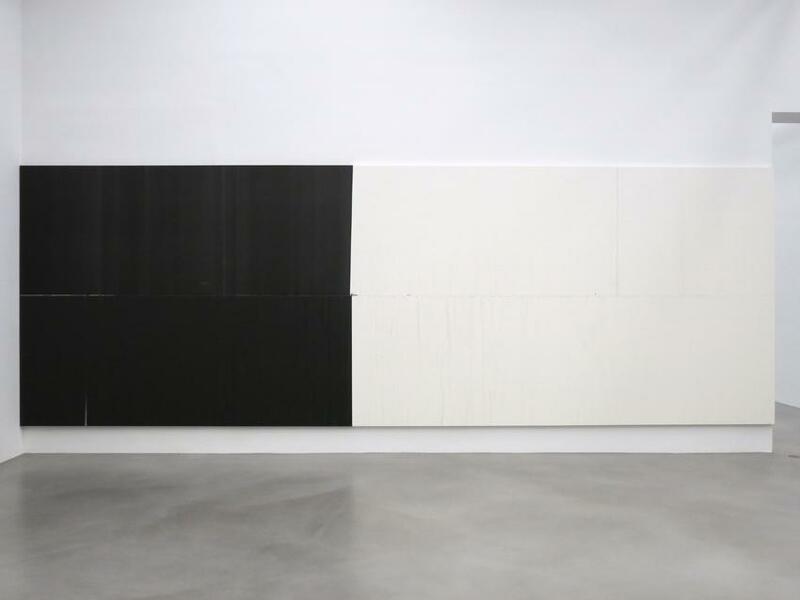 Seven years have passed since Wade Guyton exhibited a solo show at New York’s Petzel Gallery, an expanse of time that has seen the artist capping a mid-career retrospective at The Whitney Museum, and entering the upper echelons of the American art canon. Whether intentionally or not, Guyton’s exhibition of new works manages to address the passage of time and his increased status in the international art world through a minimalist series of linen prints, created using the same files from his last show at the gallery. 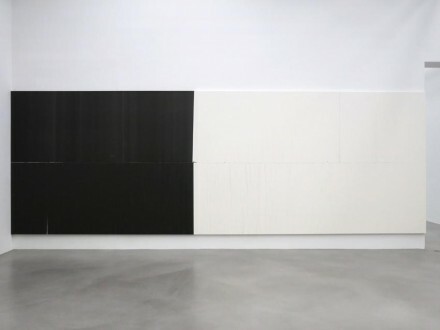 In 2007, Guyton showed a series of black paintings created using his trusted Epson printer, as well as a facsimile of his own studio floor, spread out over the expanse of the gallery floor. 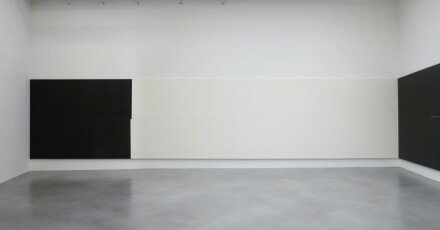 It’s these files that Guyton once again utilizes, taking the same painting files and printing them to a larger scale, over canvases made to fit almost precisely within the walls of Petzel’s exhibition space. Stretching the images out, the pieces are given new dimensions and contexts, essentially defined by the bounds the gallery in which they are shown. The original works, created by a series of printing and overprinting on canvas through the printer, command an extended view. Slight scratches, smudges and blurs play across the linens, indicating the occasional breakdowns and mechanical flaws of translation as caused by a standard inkjet printer. 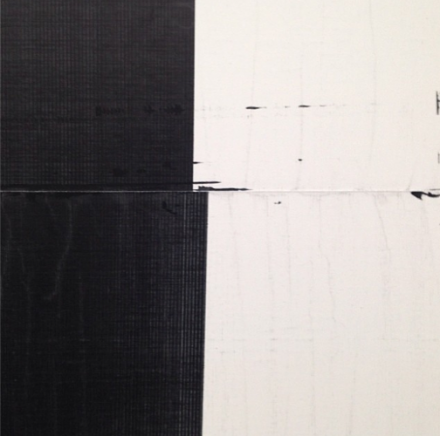 Guyton’s occasional manipulations can also be seen, keeping the mechanical creation of the work from lining up perfectly with other works in the series. But ultimately, it’s difficult to tell whether the works were printed from a scan of the original piece, or if they were in fact recreated using the same techniques and specifications. Accordingly, they take on a more historical place here than a tangible, painterly presence. 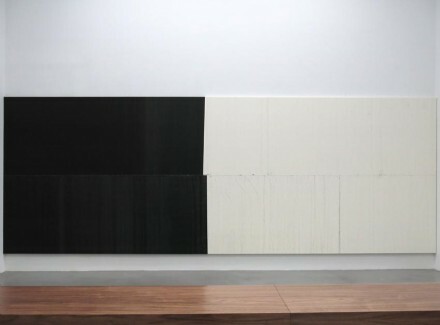 Their role in the exhibition seems almost to focus around being Guyton’s recognized stylistic trope: they play the role, the image that visitors expect from the artist at this point, but are in turn increased in size and scale by the artist’s comfort and increased abilities to manipulate the piece. What’s more, their inability to truly express their own manner of construction or creation makes them a uncertain, occasionally troubling, digital artifact. Alongside these works, the artist has also chosen to exhibit a sculpture created as a replica of the coat check desk at the Carnegie Museum in Pittsburgh, where he installed four works as part of the Carnegie International. 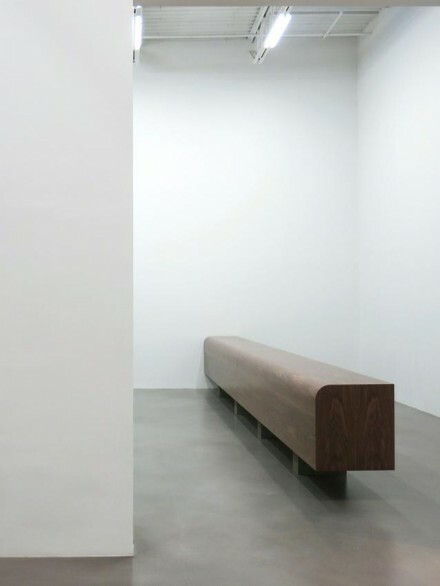 Once again addressing his stature as well as the use of replica and recreation, the piece serves as a sort of keystone for the works on view, creating a peculiar, self-reflexive exhibition environment that has ties to multiple spaces and times at once. Ultimately, its this challenge that the artist puts to viewers: in a post-digital landscape, where mechanical reproduction has reached a point of widespread populism, how does one truly quantify originality? 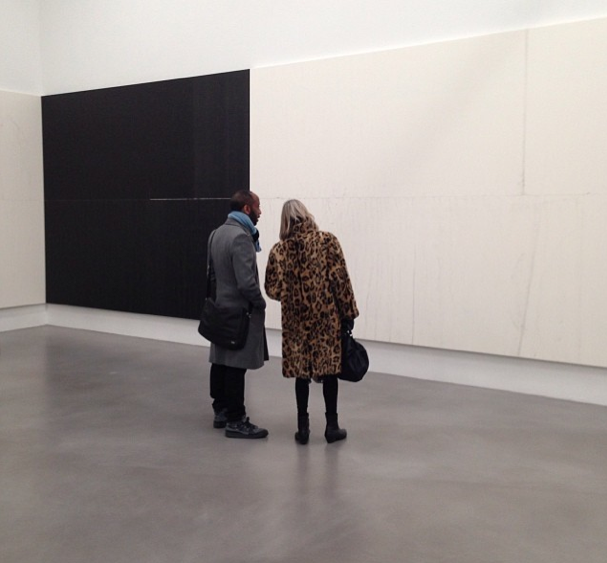 Guyton’s work is on view until February 22nd. 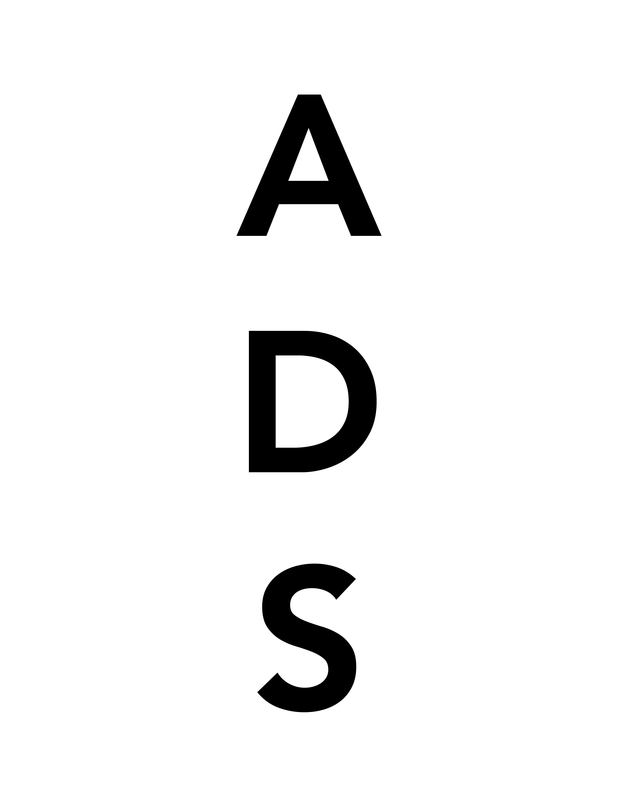 This entry was posted on Tuesday, January 28th, 2014 at 12:00 am	and is filed under Art News. You can follow any responses to this entry through the RSS 2.0 feed. You can leave a response, or trackback from your own site.